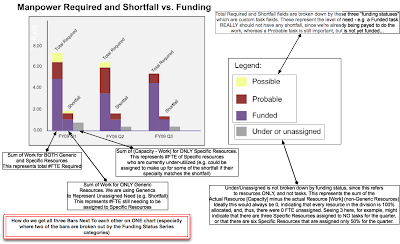 To explain further, I can't figure out how to show the three different bar charts, where two are broken down (and stacked) by Funding Status, on a single chart. 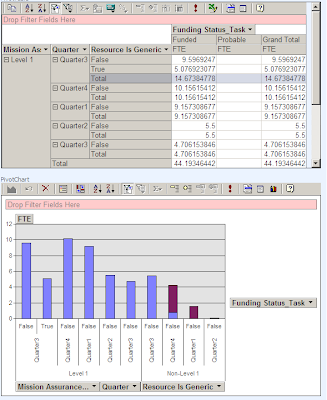 - I found these resources on how to accomplish this in Excel, but do not know how to translate it to Data Analysis View. "How to create charts with multiple groups of stacked bars in Excel"
Unfortunately, as described above, I have no idea how to add it as a third bar on the chart. - Still need to add availability.